Bowes Mitchell are pleased to welcome to the market for sale this spacious four bedroom semi detached property located within Whitfield Drive a popular area of Benton. Local amenities and facilities are available within the area itself including shops, well regarded schools and public transport links. Trunk roads offer excellent access into Newcastle City Centre and Coast. 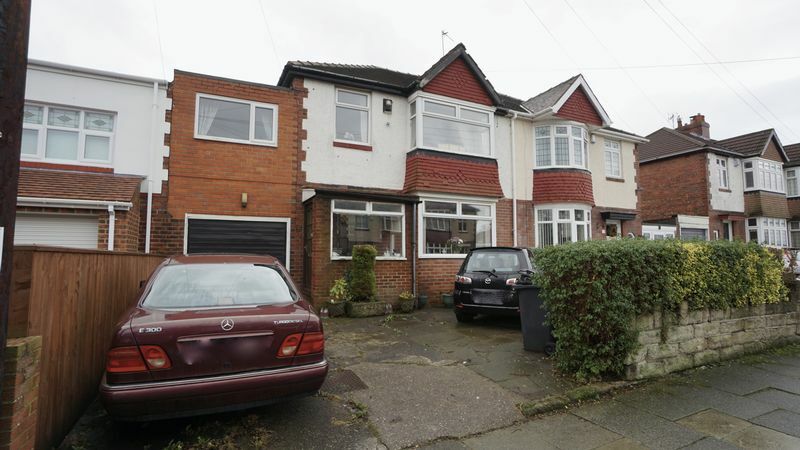 Briefly comprising: - Entrance porch, Hallway, Living through Dining Room, extended kitchen, First Floor Landing, four bedrooms and a family bathroom/wc. 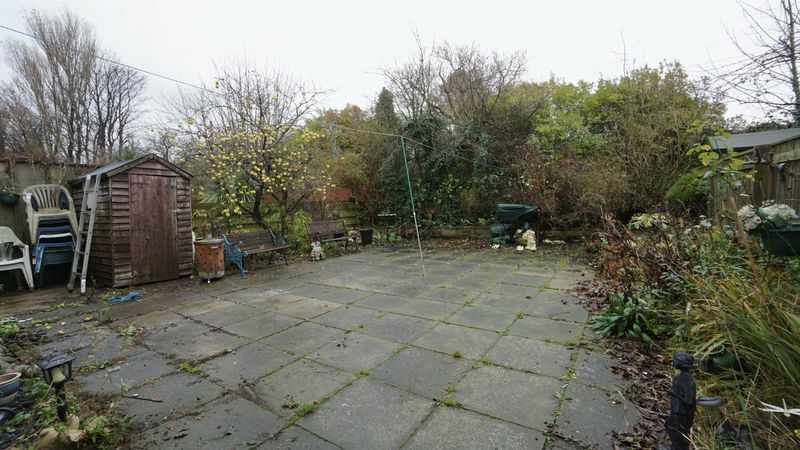 Externally the property benefits from a south backing garden to the rear and driveway leading to an extended garage. Viewing comes highly recommended. Stairs to the first floor and a central heated radiator. 23' 2'' x 13' 11'' (7.06m x 4.25m) Approx. 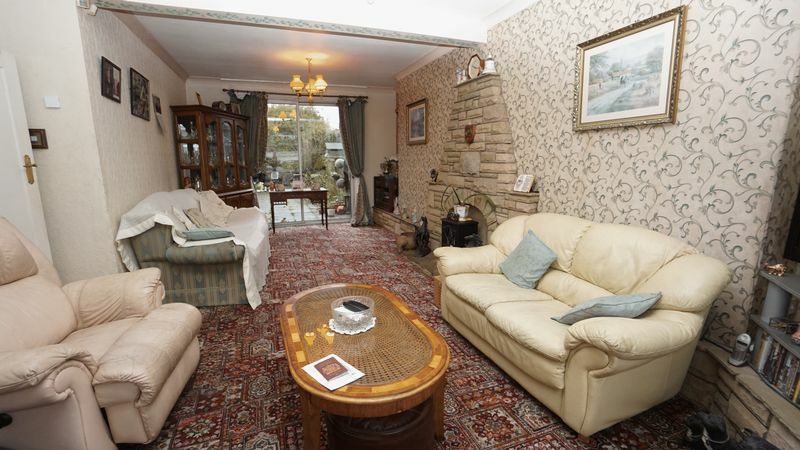 Open plan living / dining room with a bay window to the front elevation and patio doors to the rear, feature stone fire place with decorative plinths for tv and two central heated radiators. 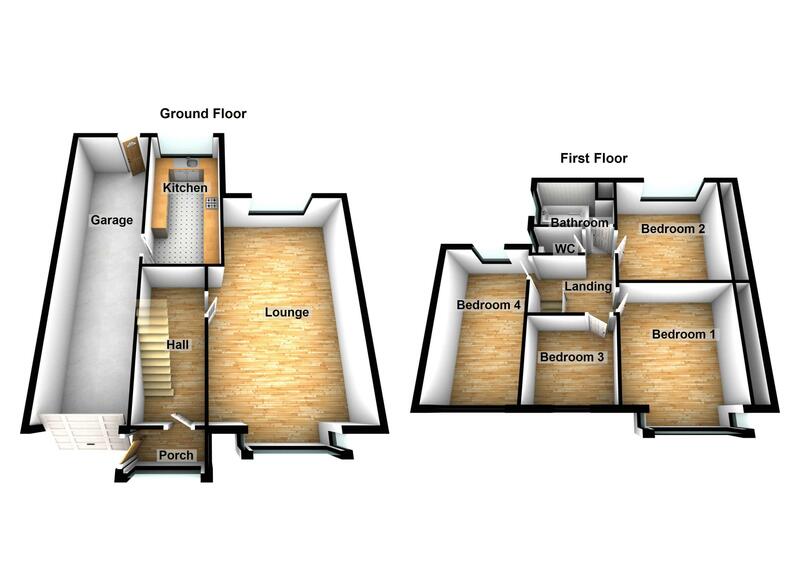 Half landing with further stairs to main landing and access to bedroom four. 14' 6'' x 7' 6'' (4.43m x 2.29m) Approx. Windows to the front and rear elevations and a central heated radiator. 11' 7'' x 10' 0'' (3.54m x 3.06m) Approx. 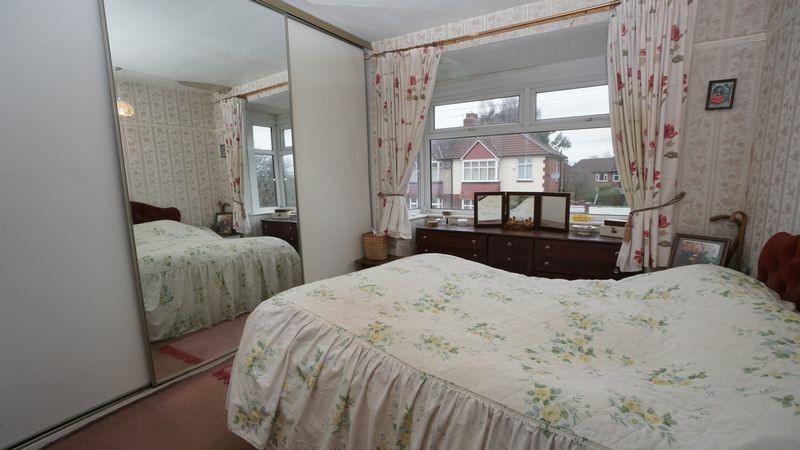 With a bay window to the front elevation, fitted wardrobes and a central heated radiator. 11' 7'' x 9' 9'' (3.54m x 2.96m) Approx. 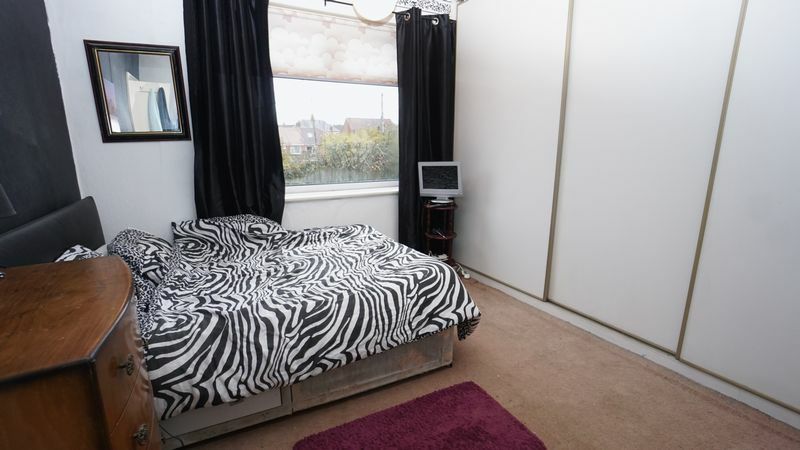 Located to the rear elevation fitted wardrobes and a central heated radiator. 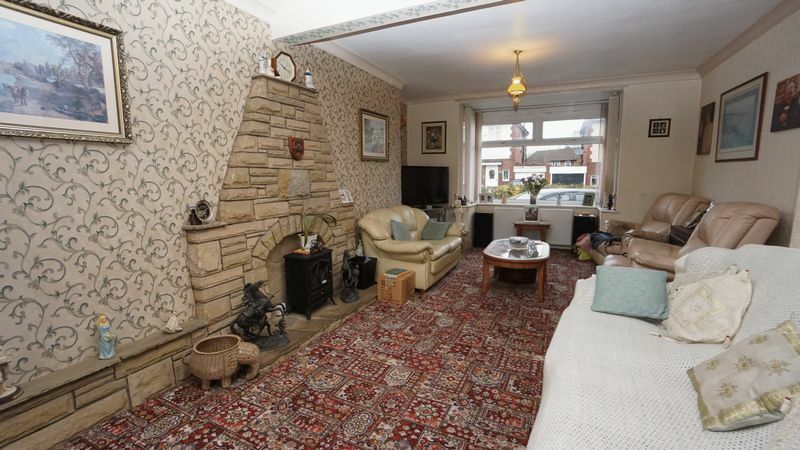 Located to the front elevation and a central heated radiator. 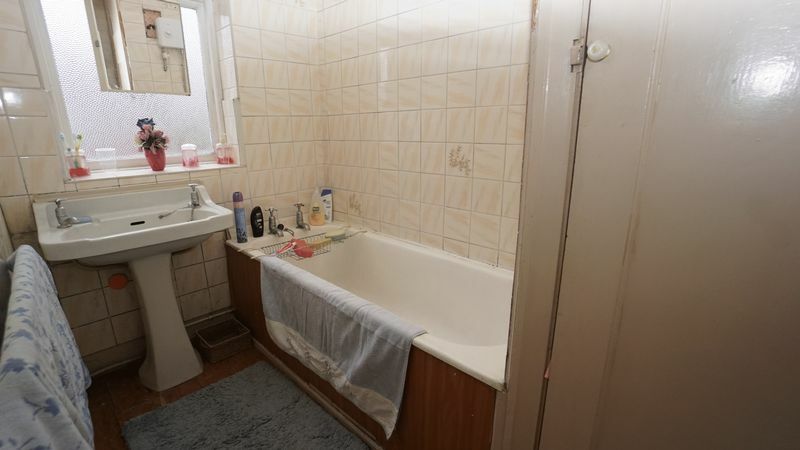 Suite comprising: Panelled bath, pedestal wash hand basin, airing cupboard and a central heated radiator. Extended garage with up and over door, wall mounted boiler and a door leading out to the garden. The front is paved allowing access for two cars. To the rear a generous paved garden south backing. 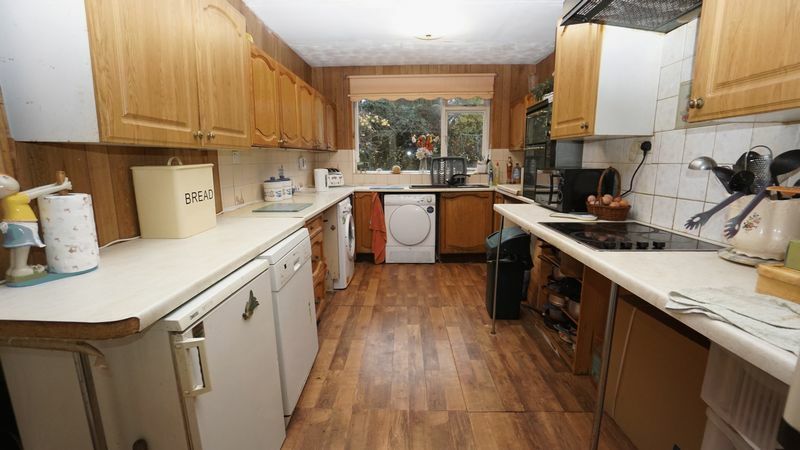 We have been informed by the seller that the property is Freehold. Clarification of this should be sought via a solicitor. © Bowes Mitchell Estate Agents. All rights reserved.